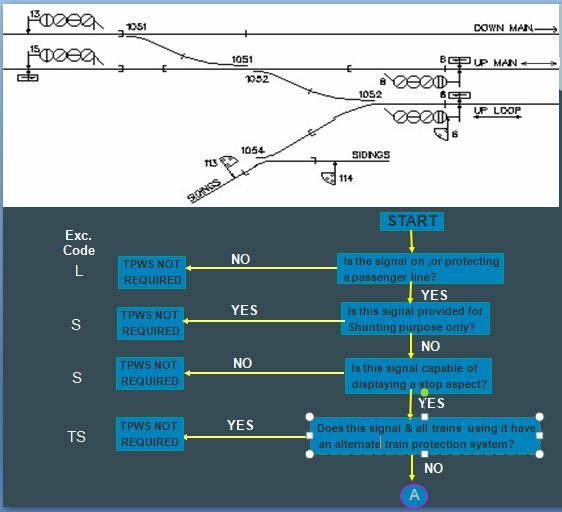 * First job in the design process is therefore to assess whether TPWS is required to be fitted at a signal or not. 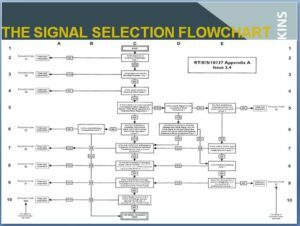 * NR/SP/SIG/10137 – “TPWS – Selection of Signals and Other Locations for Provision of Track Sub System”. 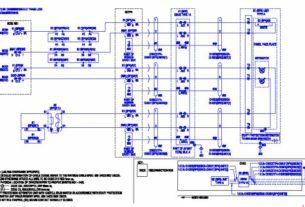 * NR/SP/SIG/10138 – Transmitter Loop Requirements And Positioning. * All decisions will be recorded in TAMAR (TPWS Asset Management and Reporting) database. 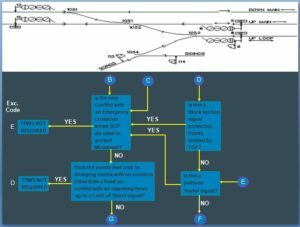 Which signals are to be fitted with TPWS? 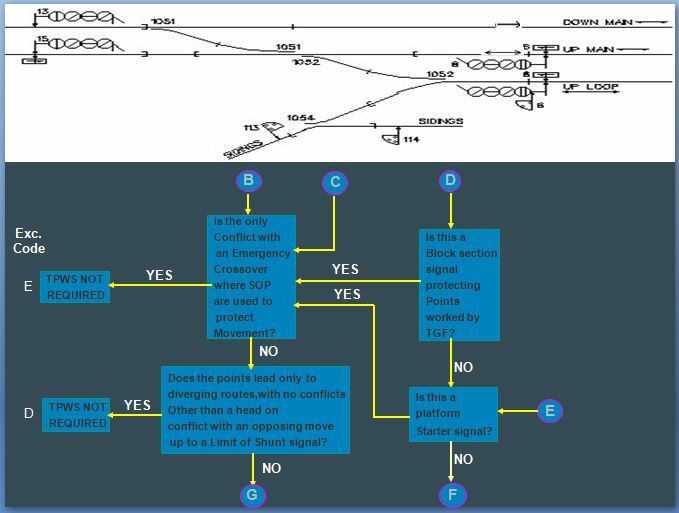 Where a signal protects a number of geographical routes ,and one or more of these routes leads to a possible conflicts ,either with in routes or with in an overlap of a signal ahead ,the signal must be equipped with TPWS. 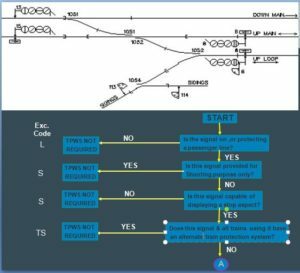 Signals on lines normally used by passenger trains. 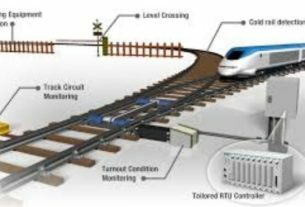 Generally not provided on signals which are on freight lines but ORAM can consider a signal on any line which has high risk factor. 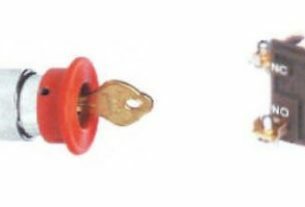 To be provided on all stop signals including stop boards. 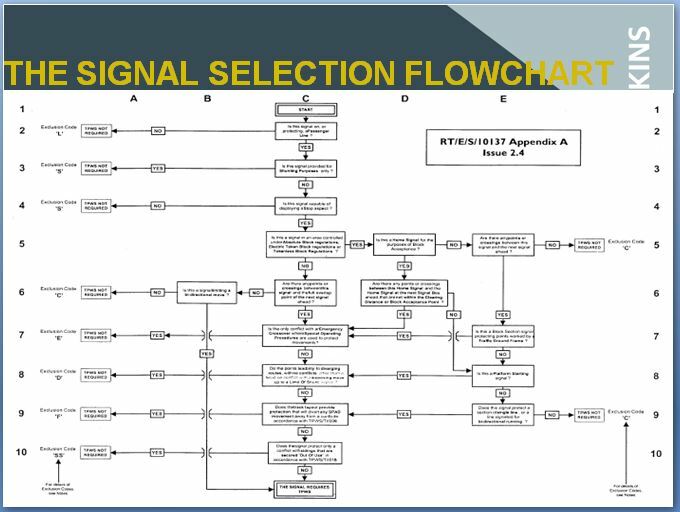 * A flow chart provided in Appendix A of RT/E/S/10137 is used to to determine the requirements of TPWS at signals. * Selection at each step is a straight forward Yes/No decision. * Where an outcome has reached that indicates that TPWS should not be fitted ,an exclusion code shall be recorded. Where not to fit TPWS? * At Intermediate signals on bi-directional lines. * At Signals protecting level crossings only. 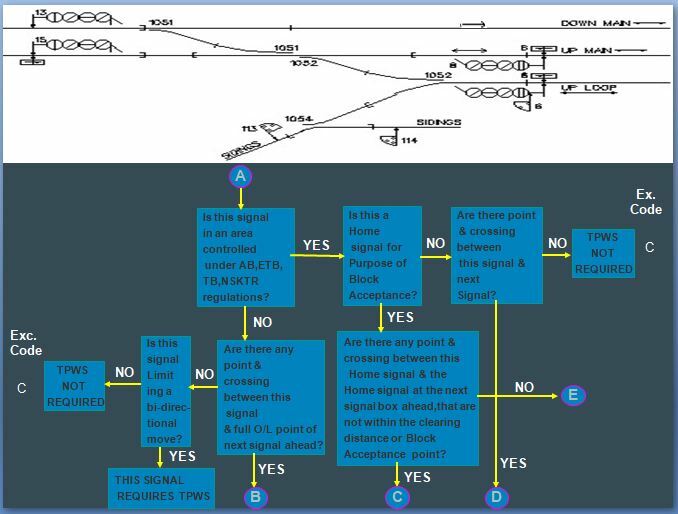 * Where a signal protects a move up to limit of shunt signal or sign, TPWS shall not be provided. 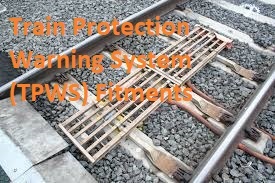 Tagged At Buffer stops At Signals At Stop Boards Presentation PSRs/TSRs SELECTION OF SITES FOR TPWS FITMENT Train Protection Warning System (TPWS) Fitments Where not to fit TPWS? Where to Provide TPWS? 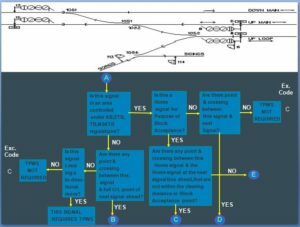 Which signals are to be fitted with TPWS?